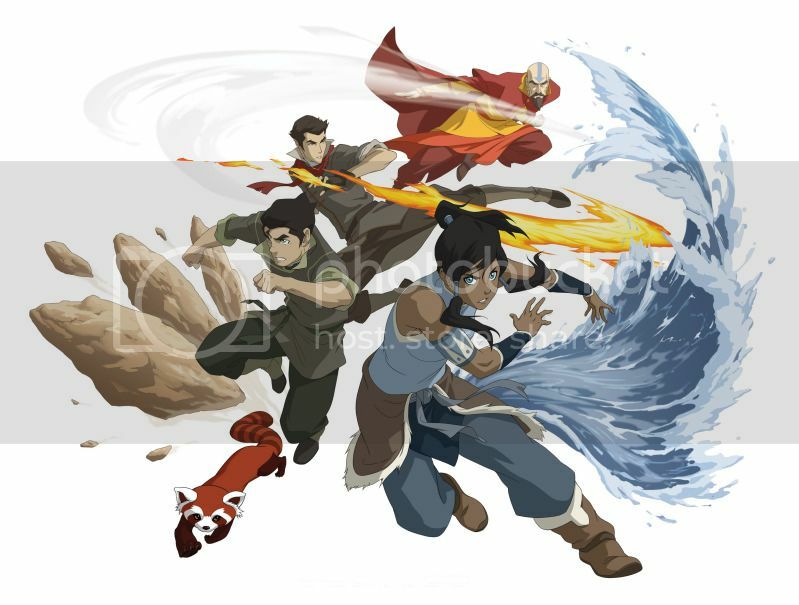 Swap name: Avatar: The Last Airbender Round 4 / Legend of Korra / All things Avatar!! Earth. Fire. Air. Water. Only the Avatar can master all four elements and bring balance to the world! This is an everything Avatar swap. The Airbender series, the Korra series, the movies, and comics! It’s all fair game, so let’s get crafting! This will be a 5 point swap. Be sure to discuss extras/spoiling with your partner! One of your items MUST be either a large or medium, you cannot make all smalls in this swap. Which Avatar do you like the best? Airbender, Korra, movies, comics? Favorite characters? Least favorite characters? Do you have a favorite episode or scene? What crafts would you NOT like to receive, and do you have any allergy concerns? Any size preference for clothes or jewelry? What kind of crafts can you make for your partner? Do you have any allergens in your house/crafting area? Would you like to craft extras for your partner? Where can your partner stalk you for ideas? Pinterest, wist, etc…? YAY! SO happy to see this up I already filled out mine and sent it in. It was a lot simpler then I thought it would be, so I was done with it in a heart beat ^.^ Partners soon please lol. Ah the send out is a tad to soon for my taste but I guess that just means I will just have to work triple time! Hooray! I sent in my sign up and am ready to start crafting!! This is my first moderated swap so I am super excited!! I had so much fun I did the last round of the avatar swap. Now there are sooo many things to pull from with Korra out too. Probably not going to join this one but I can't wait for the gallery! Sent in my questionnaire! Can't wait for partners! AHH! It's here! Will have my questionnaire in by the end of the day!!!! So excited! I haven't been in a swap in quite a while, this one is super tempting!! Will have to check my schedule and see if I will have time for this. I have 4 commissions to do, a few more craft shows to prepare for, and the LV swap that I'm doing, plus my regular job! lol I do love me some Avatar. Haven't seen much of the Korra stuff as I don't have cable, and haven't had time to catch up on it online. I know I'm a little behind, but I finally watched the season finale! My heart is all warm and fuzzy, but what is going to happen next season?!?! I agree with some comments I read earlier that it felt a little rushed. But still good! Anyone know when Book 2 is slated to start? Hey y'all. Because of the holiday next week, I extended sign-ups and also send-out. Would you like me to extend them further? Or are they good now? We also have one member who would like to join but can't ship out the UK. Does anybody know any UK peoples we can FORCE to join?? I sent out invites to everyone who said they were interested in the "new swap theme" thread and haven't written here, so hopefully a few more names get added to this list! I am excited!